During the holiday season, I’m always grateful to receive homemade gifts. The hot cocoa mix recipe listed below is a perfect family activity and makes a tasty gift for friends and neighbors. Of course, it’s also perfect for placing in your own cupboard and enjoying during Missoula’s winter! Combine ¼ cup of the powdered milk with the cornstarch and cocoa powder in a small bowl. Pour into a pint jar or into two half pint jars. Pour sugar into the jar (or jars if making two). Combine the remaining ¼ cup of powdered milk and the cinnamon. Pour into the jar or jars. Add ½ cup of chocolate chips to the top of two jars or the entire cup if using one pint jar. That’s all! This recipe doubles and triples very easily and is perfect for children to make as gifts. To Serve: Pour contents of jar into a bowl and mix. When evenly blended, add back into jar. For a single serving, place 4 Tablespoons cocoa mix and 1 cup milk or water in a small pan. Stovetop: Heat milk and mix on medium until the chocolate chips melt, stirring occasionally. 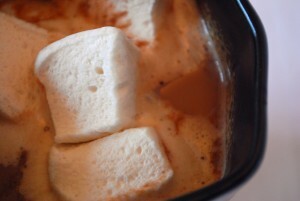 Whisk for 30 seconds or until smooth, pour into a cup and serve with whipped cream or marshmallows. Mix and milk can be heated in a microwave. Place cup on a plate in case of the milk/water boils over. Heat for a minute and stir. Heat for another minute or two if needed, whisk and serve.